Work for Fotor Photo Editor? Learning about Fotor Photo Editor? "good tool quite useful and versatile"
" very useful I use it very frequently"
"Fotor is more than I expected to edit my works photos"
What I like most about Fotor is that it is a very simple photo editor with very powerful tools. I have been able to touch basic settings to merge photographs to achieve HDR processing, through the use of special effects, stickers, frames, retouching brushes and much more. The options of the adjustments could be scarce for more exhaustive works. Fotor has become an indispensable tool for the editing of my photographic works. It is a very simple, online and almost completely free program that I use daily. I can say that thanks to Fotor I have obtained a powerful photo editing with a very careful interface. Fusion capacity of HDR photos. Editing, Collage or Design option. Also in Design there are templates to adapt the images to aspect ratios required for Social Networks (cover photos, announcements, infographics). "is an excellent tool to make my photos the best." is a powerful free photo editor, what I like most is that I can edit my photos, add effects, retouch images, add filters, frames and texts. making my work as a photographer a unique work, my style abounds in each image, thanks to this application. is a free application that helps greatly improve your photographs, if I have to mention some disadvantage is that there is a community of users, in fotor you can not expose your work to the public, you can not form photographers communities for example. It is considered a space for hosting personal photos, nor can they be imported directly to your social networks and this is undoubtedly another great limitation. very good application, excellent performance. This application has helped me a lot with my personal photographs, I can edit them, add text effects and much more, it has even been useful for my work images. I have managed to do a job with a good finish thanks to this application, keeping my clients happy. "Effective and Easy to Use!" I love the "Magic Clipper" tool which makes things transparent. I also love the ability to layer images above or below each other, as well as how easy it is to move and resize images after you've placed them. The "Lock" feature is super helpful to keep things in place, and their cloud is essential for keeping work organized. The sticker library is also extensive. The only thing I dislike it the subscription cost to get access to certain features/content, as well as the inability to select and separate certain parts of an image. Easy to use and navigate. Fotor has everything you need to make simple online advertisements for your business, as well as editing photos for yourself. Even with the cost of subscription, using Fotor is significantly cheaper than going through our head office and having creatives made for us. Typically we would end up sending messages back and forth with them having edits made which costs us more money and time. With Fotor, we can have someone in-house creating accurate images for advertisements that reflect who we are as a local business. "Fotor has become an indispensable editing tool in my work!" What I like most about Fotor is that the platform is very simple to use because it has several well-organized modules: collages, postcards, HDR, and more. For example, in the Beauty section there are tools to edit portraits. In addition, there are new filters like Lens Flare, B + W, Color Splash and Tilt Shift. In the same way I have been able to add frames, clip arts and text to my photographs. I honestly recommend Fotor because it is a very easy to use photo editor that has several beautiful effects that will make your photos more professional and sophisticated. "Simple and practical tool that will make your life easier "
I really like this software because I can have it on hand anywhere with just having Internet. Its desktop version is very beautiful and very fast, just like its online version. It is totally free and very versatile at the time of the edition. It has many basic tools, which are perfect for me when I'm on vacation and I want to upload a photo to my social networks. It is simple and basic, so it can be used by any type of user. Although I like this software a lot, you could say that I do not like that its online version has a lot of publicity. But as far as the edition meets all my expectations. I recommend it a lot, it is accessible to any type of user, it is easily installed in any operating system and its online version is very fast. It has a countless variety of tools and a number of options from varied filters. It has custom montage options, a variety of templates for collage and you can mount the number of photos you want. It has brought me countless benefits. In my daily life it is indispensable. I love its interfaces, it's simple and comfortable. I can make automatic modifications to the photograph to improve the finish, such as night mode, and day mode. It has many very useful tools such as: exposure, brightness, contrast, saturation, level of detail, white balance, temperature, tinting, vignetting and an option to end the image. They are the basic tools that I need to make good photos. And the best thing is that I can edit where you are with your application. "I love this photo editor"
It is a very simple and useful editor. I have been able to edit my photos instantly on your website, it has many nice settings and filters. Something very important about Fotor is that you can create high dynamic range (HDR) photos. Simply place a low contrast photo, a normal contrast and a high contrast photo in the HDR editor, and Fotor will combine all three to create a beautifully balanced and sharp result. The most important thing is that it's free. You can use it whenever and wherever you want. I love it very much and I recommend it to everyone. The only bad thing I could say about this editor is that you have to pay for some effects. It would be great if it was completely free but I think that is asking a lot. In my work I have Fotor as a main tool when I have to edit some design. It is so fast and easy to use that it saves me a lot of time.. I use Fotor to edit my designs and personal photographs. It has helped me a lot because it is a quick tool that I have available on the web at any time. Fotor offers the basic settings for editing and adjusting photos, but takes it to the next level with the ability to add overlays and other special effects. I love that!! "It is perfect for editing photos quickly and from any device"
It is very suitable for editing photos that will be published on social networks because it has a good number of filters and basic settings. It works in a simple and very practical way. You can not do complex editions, so it's the only thing against, but it perfectly fulfills its work for minor editions. Fotor is an excellent photo editor and I am very satisfied. I use Fotor especially when I want to edit photos quickly since it is very easy to use and very light. It has helped me a lot to design images for the main social networks of my company and it has saved me a lot of time and effort since it is not necessary to install heavy and expensive software on my computer. "One of the Greatest Free Photo Apps Available"
Like the filters of Instagram? You'll love Fotor. Its preset filters, simple editing tools, and ease of use make it a fantastic option for cropping, basic color corrections, and more. Should you be in the market for basic collage software as well, this has those features. There are a few features that are missing, although I can't complain since it is free. It would be nice if you could rotate crop sizes or decrease the amount of filter seen on a photo. Additionally, the ability to add text to images is pretty limited and looks more childish than normal. For work, my largest use of this program is to crop or rotate photos. Occasionally I've increased the brightness in an image before publishing for web as well. I work in digital media so it is a nice, easy way too fix submitted photos that need minor adjustments. I really like the "scenes" feature on Fotor. It's a filter option, but more realistic and less cheesy than regular filters. Options include: portrait, cloudy, shade, backlit, flash, night, theatre, food, sand/snow, fluorescent, and darken. The border and textures offered are cheesy and many, you must pay for. Although I like the "scenes" section, the choices are all or nothing. You cannot apply a filter to a certain percentage. Fotor is super easy to use. Personally, I like Adobe Lightroom better because there are more fine tuning options when it comes to photo editing. However, if you do not edit photos often, or are uncomfortable with other software, Fotor is extremely easy to use. It is also free, but overall offers nothing I would be willing to pay for. Fotor has helped our company's social media. I like the filters under "scenes," better than those on Instagram. It is great for a quick edit on a computer. "Excellent tool to edit my photos online." This is an excellent application to edit my photographs, what I like are all the functions with which it counts, I can add effects, text, cut, insert, and much more to all my photos, making my work as a photographer unique designs and excellent. This tool is very good, excelenet to edit all kinds of photographs, I just like that could be able to import images of my social networks and share from photo to my social networks, that would be excellent. I like everything I can achieve with this application, I'm sure it is useful for any user, no matter what is professional in the area, because it is very easy to use. During all the time that desenvolviendome in the area of photography has characterized me for doing a unique job, that I diferencia des rest of the photographers, and thanks Aersta tool I've achieved tod that, I really like that I get the same benefit from Very expensive application, and this is free. "Really is easy to use and makes content creation a breeze"
I’ve used so many photo editors but this one, I feel, is the best. I used their free version and it still is enough to make our apps photos turn out well when we are using them for onsite features. I have lots of challenging photos to work with as they are user generated and submitted so the quality is all over the map. I’m thankful for this software making my job less challenging! I wish the pricing was more affordable. Currently my company won’t authorize the charge of a subscription do I have to use the free model. It used to be very buggy but it seems that they’ve fixed most of those. Big improvement! User submitted photos are really challenging since users quality is all over the map. Foote makes it quick and easy to “upgrade” the look of novice photos and make them presentable to use on our app. As any other editor has its limitations. If you need to make very specific changes in your photos then you will need something like photoshop but in general has everything like most editors: light adjusts, effects, focus, crop, text add and export in different formats. I will consider to have more promotion, I knew about this product from a partner in the same industry before that I never heard of the product. In general the products meets my needs. I still haven't used the product for Ipad so I don't know how works there and I am planning to implement in on my ipad in the next days so lets see how it works. I think that another think that could be useful is to provide the user with some tips or tutorial videos where we can learn about all the features that we can use. The app allows me to edit pictures for my client's website. Usually I receive pictures from clients with a very bad lights or colors and I need to edit them to look better and attract more attention in the website. You can also uste the app to modify or even design a Display Ad. I have use it mostly to edit photos but it is also good to have that option. In this way Fotor has helped me a lot, and the what I like the most is that is Free. As everyone knows, some photo editing softwares can be extremely expensive and often require organizations to buy subscriptions to them. However, Fotor Photo Editor is completely free to use and it is so helpful because not only is it free, it is also very easy to use. And so as a result of its ease, I believe that this is a much better alternative to even the subscription-based ones. My favorite feature is definitely how they provide templates that users can just follow to create what it is that they want to make. What I dislike is that there is always a numerous number of advertisements across the website when I'm trying to edit photos. Although I definitely understand that this is free and the company needs to earn revenue somehow, I still think that the number of ads displayed is a little too excessive and just gets in the way as users edit their photos. I think Fotor Photo Editor is definitely headed in the right direction and would highly reccomend it to any organization that is looking for a good photo editing program that is not only effective and does the job, but is also a very cost-efficient alternative than the likes of those higher priced photo editing softwares like Adobe Photoshop and Adobe Lightroom. The business problem that we're solving with Fotor Photo Editor is being able to use a cost-effective method of editing photos that aren't too expensive, such as the subscription-based Adobe Photoshop, which can be crazy expensive depending on the subscription that is bought. "A simple but powerful photo editor:"
I love this Fotor because it's the simplest way to make any image you have a new and different one. The great thing is that you can easily drag your image to open it in Fotor, and right after that it´s just a matter of choosing any of the effects or editing options that are available on the right of the screen. For example, I personally enjoy adding more "exposure" to the image so that the background is changed and it looks quite different and better. You can do all of this in your images in a couple seconds with Fotor. Even when this is a great software for editing and making new and better images from previous ones, there´s something that I don't like at all, and that's the fact that more than 30' percent of the page is covered with ads, which is really disgusting. The bottom of the screen, as well as the right and left sides of it, are completely covered with these ads, that sometimes aren't really related to things of interest. It would be a good idea that Fotor removed these. If you don´t want to spend money in a paid software, and you need tools to edit images, then you might find helpful Fotor, as it includes many of the features that other paid software offer. I can easily edit the images that my customers send me when they ask me to make them different, but based on the same concept, and this makes me money. I can also make new images and designs, based on specific needs of my clients because also makes it so easy, and it doesn't require a lot of time to do this. This is an awesome online editor. "Best online photo editing tool"
The tools provided in Fotor are pretty straight forward and intuitive. I like the image-enhancing tools and filters which make pictures look their best. Fotor makes it easy to add text overlays to images. Additionally, I can save the edited images in multiple formats. Fotor excels in being quick, and quick to master. I cannot think of anything that I dislike about Fotor Photo Editor. Though it would be nice to have some added features and editing options. I use Fotor Photo Editor for editing my images for my presentations. I like the ease with which I can create collage when I have multiple results of the same experiment. It's easy, convenient to use and I can make images of consistent quality throughout. Fotor improves my image quality and thus aids in enhancing the impact of my data presentation. "More Filters Than Other Apps, Easy to Use "
When I first downloaded this app, I liked that there are a plethora of filters! Also, when I downloaded it it was free, which was great. I'm not sure if the price has increased, but if it's under $5, I would say go ahead and buy it. Competitors are most likely VSCO and ColorStory or similar apps. I like Fotor because it is very easy to use. I sometimes get lost in the layout of the more "hipster" or specialized photo editing apps. They try to simplify the menu since it is a phone application, and I end up clicking the wrong thing half the time. I wish the filters were more in style. For instance, VSCO has a lot of trendy instagram filters (less saturated, more greyed out, cooler colors) while Fotor's are a bit high-contrast and saturated. But, as I previously mentioned, the layout of the app is more intuitive. 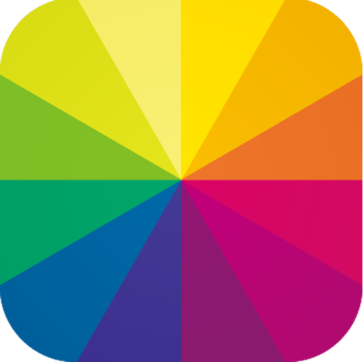 Another favorite app of mine is ColorStory, which I mentioned above. I enjoy the vibrancy of the filters in that app, but it is a tad confusing for me to understand. Fotor is great because it's free! Granted, there are plenty of other free photo editing apps out there, but I have to say that in my experience of 5+ years editing photos on my phone, Fotor has the most filters by far. they have recently upgraded their user interface which makes it easier to see your photos on a larger scale and how they are being changed than it was before, when they were only in a rectangle covering a third of the screen. The collage feature is also very helpful. I haven't tried to make the "magazine" graphic since I myself am a graphic designer, but it looks like a useful tool for people who do not have the skills and software a graphic designer has. Overall, the product is easy to use and offers many useful basic edits. VSCO helps me to make my photos look more interesting with their filters. They also have some helpful hacks like red-eye reduction, blemish remover, and skin tone corrector, that a lot of other photo programs lack. "La más sencilla de usar"
Fotor Photo Editor proporciona una variedad de plantillas que se ajustan a todas mis necesidades para crear/editar pedidos de mis clientes personalizados, normalmente para redes sociales. Concretamente, lo suelo usar para crear collages de todas las formas y tamaños para todos mis mensajes, y obviamente de mis clientes. También uso bastante la cámara integrada en Fotor Photo Editor en mi móvil. Y lógicamente, lo mejor que te puede ofrecer esta aplicación es su sencillez, de tal forma que cualquier persona que no tenga conocimientos de fotografía ni de diseño, pueda llevar a cabo cualquier función o tarea dentro de este programa. Creo que el principal fallo que encuentro en este programa, es la baja calidad de Fotor Photo Editor. Uso su cámara en mi móvil normalmente cuando no puedo hacerlas con mi cámara profesional. También otro fallo que tengo es que ofrece muchas herramientas muy sencillas, pero quizás le faltaría alguna herramienta más avanzada, aunque también es verdad que el punto fuerte de este programa es facilitar el uso al usuario por lo que seguramente si se añaden estas herramientas avanzadas, muchos usuarios dejarían de usar Fotor Photo Editor y se pasarían a otra app más fácil, ya que esto es lo que buscan los usuarios, sencillez. Una cosa que tampoco me gusta es que tiene plantilla limitadas, creo que deberían implementar más plantillas. Esto solo lo veo mal para gente que tiene un bajo presupuesto. Normalmente las empresas nos podemos permitir gastar dinero en plantillas, por lo que no debería ser una cosa que se debería corregir. Si te falta tiempo, te recomiendo usar Fotor Photo Editor. Es una aplicación muy rápida de usar y muy intuitiva. No necesitarás ni siquiera los tutoriales que en otras aplicaciones se necesitan para empezar a aprender. Fotor Photo Editor la utilizo normalmente para crear diseños para mis clientes y para retoques de fotografía. Lo utilizo mucho para crear collages de todas formas y tamaños. Cuando el cliente busca rapidez e inmediatez no me queda otra opción que recurrir a este programa, ya que es el más rápido. El cliente en la mayoría de los casos queda muy satisfecho tanto por el resultado final del pedido como por el tiempo de la entrega del pedido que no suele tardar más de un par de horas en horario de oficina. "Great for basic photo editing"
The service is pretty self explanatory and very easy to navigate through and use. The application requires no previous photo editing experience. One of the best feature is the ability to download an offline desktop version of the application. The photo editor allows you to design unique video covers, Facebook background, various cards and possible brochures. Most of the advanced features are only available with the upgrade. You can still use those features and practice editing with them, however, you would not be able to use the picture as it will contain watermarks. There could be more in app tutorials that would help users to improve their editing skills and make use of some of the advanced features. Great application for the beginners. There are features such as the Enhance feature, that can automatically edit and improve the quality of your pictures without you manually have to adjust brightness etc. The service is very convenient as it can be used online and does not require any additional storage if you do not need the desktop version. The stored edited pictures and designed can be accessed from your personal mobile devices as well. Easy to learn online editor that would also hold advanced features. There are many features that can be considered an introduction to photoshop such as layering or HDR to highlight various features and details of your photos. Mobile application works great as well and enables the user to conviniently access their pictures from any device. "Aplicación de edición fácil para el navegador web "
Este sitio es perfecto para lo que necesito: unir fotos en pancartas y collages para el sitio web de mi compañía de teatro, las redes sociales y las explosiones de correo electrónico. Todavía utilizo picstitch cuando estoy creando un collage en mi teléfono, pero Fotor ofrece más formas y opciones y se puede hacer en una computadora (con frecuencia mis imágenes ya están en la computadora, no en mi teléfono). Todavía no he pagado la versión premium, que eliminaría la marca de agua y desbloquearía más funciones. Ojalá hubiera algunas opciones más gratis antes de hacer la actualización. También puede ser un poco torpe al cargar fotos (no las arrastre hacia fotor - debe usar el botón "cargar") o al cambiar de proyecto (una vez que carguen las fotos, desearía que las guarden en su barra lateral incluso si cambia por supuesto, con lo que te gustaría hacer con ellos). Es un buen editor para imágenes individuales con funciones agradables que también puede encontrar en los productos de software consagrado. Pero no lo usaría como primera opción. Lo usaría como respaldo para cuando quiera editar algunas imágenes en línea. "Amazing editing app and easy to use"
Best tool I have used till now in terms of ease of use and accessibility. Adds amazing filters, stickers, affects and super-impose pictures. Fotor's one-click filters automatically refine your picture to look the best Ability to download the edited pictures in various dimensions and quality. The software is updated continuously. The latest version of the software lets you create collages in different dimensions. It is free and you can download it free for windows which is the biggest pro. Definitely can not replace photoshop but if you are not experienced in graphics editing software, this is the perfect alternative. It has a lot of features to play around with but not comparable to GIMP. It is not ideal for creating artwork from scratch. If you are an amateur or a beginner in photo editing, this is the perfect tool to start. Easy to use, free and accountable. Highly recommend. Creating headers and posters for Facebook promotion for my startup and fraternity social handles. Amazingly easy to use and fast. Does not crash. You can apply very special effects such as tilt-shift blurry effects which are only available in expensive cameras. "Fast, Free and Functional Photo Editor"
It's very simple to use, but also a very powerful piece of software. Some limitations of the free version (although this is to be expected). If you're using the free version, then be prepared to run into a few roadblocks here and there. The functionality appears to be the same across the board, but certain effects are not available to those who use the free version. Still, I've found a use for the app even with those restrictions but in place. I don't use Fotor very often (I prefer Pixlr and paint.net), but it gets the job done when and if I need it. Sometimes I require some special effects when creating images, and Fotor allows me to get those effects. Occasions. The categories are advance and fun to work with. Everything has a price. And after awhile there are better programs that can do the same stuff for half the price. The system takes a while generate. It wasn't user friendly at first, in fact it was a Nightmare. If you like having fun and you do t have a lot of money to buy the higher end editing programs then this is a fun program to play with. But it's not my favorite of all editing programs. My needs at that moment in time. "Easy editing app for web browser"
I was looking for a "picstitch" equivalent for my desktop rather than on my phone, and happened upon Fotor. This site is perfect for what I need: stitching together photos into banners and collages for my theatre company's website, social media, and email blasts. I do still use picstitch when I am creating a collage on my phone, but Fotor offers more shapes and options and can be done on a computer (frequently my images are on the computer already, not in my phone). I have not yet paid for the premium version, which would remove the watermark and unlock more features. I wish there were a few more free options before doing the upgrade. It can also be a little clunky when uploading photos (do not drag them into fotor - you must use the "upload" button) or when changing projects (once photos are uploaded, I wish they would keep them in your sidebar even if you change course with what you'd like to do with them). I made some mistakes my first time around. It's useful to watch some tutorials online first. My primary benefit was the ability to stitch pictures together in a horizontal or vertical row, which I can then use as dividing lines to separate sections of my website or email blasts. Most other photo stitching apps only allow you to combine photos into a square. "It is a 100% useful application. " I am fascinated by photographs, and this tool helps me to make each photograph better than the previous one, I can edit my photos and get the best out of each one, it is very easy to use, it really works, every time I do an activity with my students I must have photographic report of each one, and with this application I can make the photos go much better without having a professional camera. I do not consider any against, it is a very good application that complies with what it promotes, edits my photos in a fast and simple way, I can add effects, frames, texts and many other things. The exclusive features of having 3 options, collages, editing and design. My facebook covers are now unique collages and frames, because of the awesome designs from foto editor. There are various templates for collages, which makes sure all sorts of needs are fulfilled. The editor also covers all required basic features and also has some really cute effects. There is not anything that I specifically dislike about foto photo editor. If you want to make very quick edits for your photographs and also are looking for a software to help beginners, this application is the best choice. When I have to make social media postings, foto editor comes in hand to edit photos, make them the mist appealing shots and share. The collages are also very much useful for graphical representations and designs are useful in creating banners. "Not super user friendly or sophisticated, but it is free..."
I like that it's free. It does have a lot of different filters. I do not like that you can only open one picture at a time unless you want to do the exact same edit to all of them. Also, you cannot open multiple pictures unless they are in a folder. I do not keep the pictures in a folder, so it makes me not want to use the batch feature. Also, if I decided to put my pics in folders, I would want to edit some differently than others. I just want to be able to open multiple pics and do different edits on each one. Also, the edits are not as crisp as say VSCO. I would look for something else to use long term, but I suppose if you were in a pinch, I would use it. I am trying to edit product pictures for my business. "A lot of functions but pretty slow. And the desktop one doesn't help either"
I like the simplicity. It's made for normal people that want to play with editing pictures but has some profesional abilities like curves and brushes. The brushes are made so anybody could understand how they work. The online editor is very slow, and the offline one doesn't have some of the functions of the online editor. The effects are not the same on the editors. I tryied uploading a raw file in the offline editor and it didnt work. I have a d750 camera. Maybe it doesnt support it's kind of raw. They shouldn't expect a profesional editor. It's a good editor for single images with nice functions that you can also find in the consacrated software products. But i wouldn't use it as a first option. I would use it as a back-up for when i want to edit some pictures online. You can make quick edits, for facebook and other social networks. It is mostly for people who want to play and are at the beggining of editing photos. "Use it all the time for photo editing"
Favorite part is take a photo and focusing in on a certain section while the rest of the photo is blurry which is really neat. You can do a linear, circular, or eclipse focus. You can also click different scenes as in line lighting changes for a cloudy day or sunny day. It really helps. I also like that you can make collages on the app. I tend to use that a lot. I would definitely recommend this apps. It has every photo need that you would ask for in one app. The only thing it does not have is filters so you would need another app for that. But otherwise it works great. Any photo editing needs I have I can use this app for. It helps if I need to rotate/edit a picture for a document or email. Also making any collages for our business is done on this app. I have gone to this app several times for business needs. "Great Product to Improve Social Media Posts"
Fotor provides a variety of pre-made posts that fit all of my needs to create custom graphics for social media posts. Without these images, my post views take a huge hit, so this allows me to create shareable graphics that both convey information and boost my views. I utilize this product to create custom Instagram posts that I then use on Facebook and on Twitter and also to create Facebook covers. As well, I use it to use create collages for all my social media posts of all shapes and sizes using photos shot on site with my camera (from the mobile app) and also from high-quality photos from my professional-level camera. Fotor has a limited amount of premade templates on its free platform. Unfortunately, my organization's budget does not allow me to purchase the upgrade, so I utilize the free options. Other competitors, however, seem to provide many more templates and also allow storage in a user account in the free level. This product allows me to create custom graphics that can be shared easily by my users and also allows me to create graphically pleasing collages that let me share a multitude of photos on one post. I have realized higher social media views and shares when utilizing these custom posts and collages, and it's easy to use. Although, I am proficient in Photoshop and the Adobe Suite, the Fotor tools are easy to use, quick and available on mobile. I love that this software enables me to edit my images quickly and easily to share. Very user-friendly guides and all of the necessary tools I need to edit my images to make them look like professional quality. There is nothing I dislike about this program. For such an easy-to-use platform, I am able to complete all of the tasks I need, for an extremely affordable amount. I would choose Fotor over similar programs because of its ease of use as well as its affordability. I am able to create professional looking images for my customers to boost the images of current products and to create a visually appealing advertisement. "A little too basic for me"
It is a simple platform and very easy to use. Photos can look great after a few simple pushes of buttons. I do like that you can batch edit photos, so you can add the same filters to a grouping of photos. The program is a little too basic for my needs. As a photo editor, I prefer to have more control over the outcome. I just wish there were more options. It is so much easier than Photoshop. if you are looking for a simple to use photo editor. this is your guy! Editing photos for online posting. It is a simple and quick way to edit photos. "Great Tool & Easy To Use"
I cannot really think of anything I dislike about the site. There are really so many options to photo editing on it. All I can say, is if you are thinking of using it, try it out first. It's free and easy to start. I love that Fotor is free, and available online where I can access from any one of my computers without having to download software to each one. It is easy to use and navigate and has many functions. "Great Online Photo Editor for photo effects"
Of all the online photo editors this is one of my favorites. I love the photo effects and color changes. It's simple to add effects and filters on your pictures with Fotor, like really simple. It's nice. There are some options you cannot do unless you upgrade your plan, which is fine, but there were some effects I want to use but don't have access to them. I'd rather them just not show those options, but that's how they get people interested in upgrading. give it a try with the free version. Editing photos, color changes on photos, making pictures ready to use online. Instead of opening a more cumbersome editing program like photoshop this tool allows a quick filter effect edit for pictures. "good but cant compete with professional software "
I love the preset layouts - I don't have to worry about positioning the photos perfectly or spacing them out exactly because they is already a format created. There isn't a lot of advanced work I can do on it. It is still very useful but mostly in regards to just the basic points of photo editing and photo collage. I suggest already having your images at the pixel size you want them to be at so all you have to do is drop the images in. I say this because sometimes it is a little easier to edit the images size outside of Fotor and then just drag and drop the images as needed. We all have Adobe Photoshop Elements on our computers, which is helpful but not all inclusive. I need to create hero images for each brand store and it is better to use a collage of photos to better represent the brand as a whole – Fotor solves that problem in a free and easy way. No extra cost to the business! Thai program was a dream to use with its simplicity. It is also really great that it is a program that I do not have to download on to my computer. That is a major plus to me. I really like the ability of being able to go onto any computer and be able to work. With other programs you have to download the program to be able to use it. With Photo Editor you have the actual option of on the net or downloaded. There was nothing I didn't dislike about this program. There really is nothing to dislike when it comes to this program. It really is easy to work with. The only thing that I can say is try out the program. As with many business owners and photographers there always is a learning curve and the constant search for different programs to use that suit your needs. I have realized when programs give you more of an option with the different ways to use their program you will lean towards their company. "Has potential but lacking in areas"
It doesn't have a great way to adjust sizing or really edit out objects easily, or skew areas in ways other programs do. Use it as a component, not the end all be all. Quick editing for social media promoting and community building. "Fotor a online photo editor for professional and recreational photographers and creative individuals"
It allows users to create their own amazing graphics content and share on social media. it's extremely easy to edit photos with fotors editing functions. we can collage photos however we like with a abundant of classic collage templates provided in it. In order to access all features one has to buy the premium version of fotor paying amount annually. Beginners can try a free mobile version of Fotor to understand the usage and interface of it. The availability of all 3 features as editing photographs, making collages and creating designs is one of the unique and best features for Foto Photo Editor application. It has various photo editing effects which adds a touch of reality and colour to photos. The easy to navigate tools and the eye catching effects are outstanding features. The designs tab has mutli-purpose saving templates, which I think as a great idea. The phone application is bombarded with just too many ads and pop-ups, which becomes very annoying when using it for purpose that requires a lot of attention or working in deadlines. "Fotor a photo editng & collage software. " Fotor offers a wide variety of design templates & templates to kickstart our photo editing skills. The software is provided for free to the public. It is not suitable for creating artwork from scratch. The amount of advertising on the site can be little distracting. Usage of fotor software is very easy, when you first upload an image in the editor it pop ups the instructions and quick tour around how to use the editor. "Fotor easiness of use for newbies!" We make it easy to save, share or print your edited photos with only a couple of clicks. In the free iPhone app it has a lot of banners and pop up adds, it does make you want to stop using it; I guess the features make it worth it to be dealing with so many ads. I do lots of image editing and set up for web pages and blogs; I enjoy the easiness of use of their app, it's so reliable I can save it in to my camera roll without a problem and come back and finish what I was working on. "Fotor Photo Editor ( Called as Mobile Photoshop)"
All the features that adobe photoshop provides are also almoste there in this Fotor. Upto Mobile Extent, This is enough and it's a Lot. User friendly, and easy to use. Pro version is not provided free. The advertisements comes while using this application is too heavy. Those who are looking for best photo editing tool for mobile and easy to Use, Undoubtedly, You can choose this. Fotor is an awesome and powerful software for photo editing. Fotor is easy to navigate through and use. Fotor offers wide range of settings for editing. Fotor can provide great impact visually to the pictures. There's nothing I dislike about Fotor so far. I wish the desktop version had templates like the online version. Also some of the nice features are available in paid version only. With Fotor the pictures are undoubtedly and recognizably better. Fotor allows me pull photos quickly from various albums, and save automatically to my phone photo album for quick sharing. Fotor has ready made layouts that saves me a lot of time and effort. The awesome built in templates for optimizing quality of images. Nothing more specific. Almost Fotor has comprehensive coverage all areas. Its an amazing software to design some beautiful images with excellent quality. Very easy to implement and use. Explore it! Limited editing of specifics parts of photo, unlike photoshop. Using Fotor Photo Editor is so simple and quick. It requires no install when using a browser. You can save your photos to the cloud and access from anywhere. We use this to edit our website photos and the result is always great. I also love that they have an app that is easy to use. "Great and practical tool for editing my photos used on my social networks"
It is easy to use, compatible with window and free. Also is linked to social networks. Recommended to stylize your photos if they do not have experiences in more complex programs such as photoshop. "Do NOT sign up "
The sign up seemed easy enough. That is all. The end result is photo editing is mediocre and not at a professional level. On top of the fact that their product did not help me and I barely used it, they're customer service is even worse. They put me on a recurring payment schedule without me knowledge then no email reminder to allow you the opportunity to cancel. They then put through the transaction and then notified me after the fact like all other companies I have dealt with in the past. After trying to dispute, they said they could not offer a refund. It solved none of my problems. The software is mediocre and I had to outsource for someone else to do the work. * We monitor all Fotor Photo Editor reviews to prevent fraudulent reviews and keep review quality high. We do not post reviews by company employees or direct competitors. Validated reviews require the user to submit a screenshot of the product containing their user ID, in order to verify a user is an actual user of the product. Company: Chengdu Everimaging Co., Ltd.
Hi there! Are you looking to implement a solution like Fotor Photo Editor?